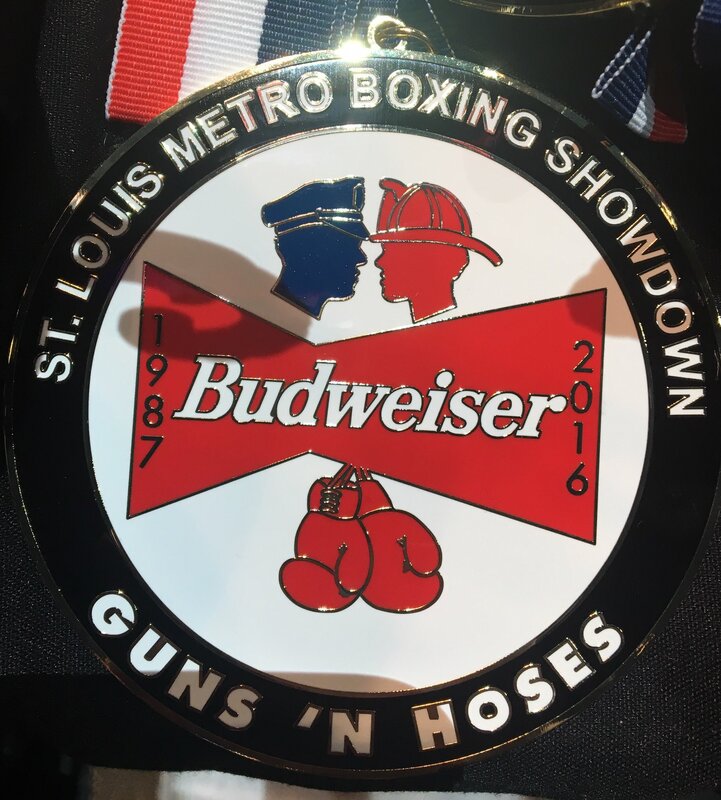 (ST. LOUIS, MO) A new benchmark in attendance was set at the 30th Annual Budweiser Guns ‘N Hoses event held at Scottrade Center Wednesday night. A record-setting 18,038 watched Team Blue top Team Red, 11-5, in an evening that featured area first responders battling in exhibitions that consisted of a dozen boxing matches and four mixed-martial arts contests. Launched in 1987, the annual event raises money for The BackStoppers, a St. Louis-based non-for-profit that provides immediate and long-term financial aid as well as other support to the families of police officers and firefighters who have lost their lives in the line of duty. Although the total monies raised from Wednesday’s event was still being calculated as of press time, individual donated checks of $126,000 from Supplement Superstore, $63,000 from Anheuser-Busch and $20,000 from Sappington Elementary were presented during the evening. Here are the results from Wednesday’s card. Prior to Wednesday’s card, the Guns N’ Hoses event has collectively raised over $4.5 million for the BackStoppers since 1987. 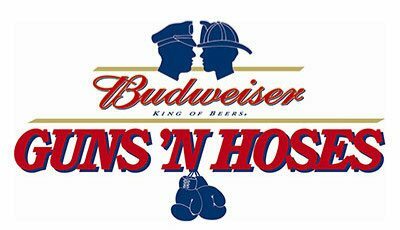 For more information on Guns ‘N Hoses – St. Louis, go to THIS LINK. 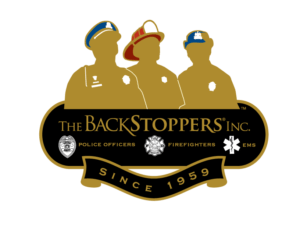 For more information on the BackStoppers, go to their official website.